Your whole life, not just Valentine's Day, can be a celebration of love. You have the power to create happy and fulfilling relationships with your significant other, family members, coworkers, and members of your community. All you need to do is open your heart, let go of fear, and remember that you are love. I Choose Love: A Journey from Fear to Love is more than a relationship book. It is a powerful and transformational piece of work for awakening your heart, reaffirming your direction in life, and choosing love every day. 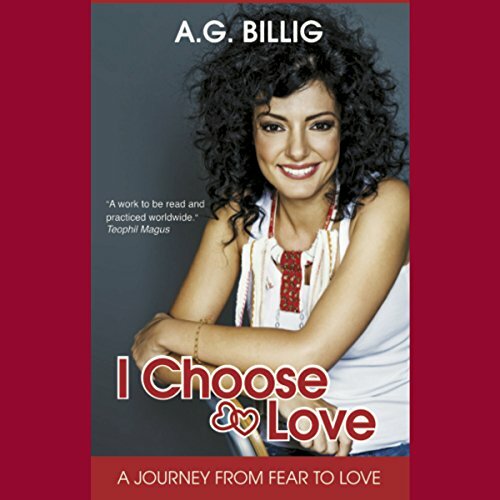 Inspired by her personal journey to becoming a loving human being, A. G.Billig - author, radio host, certified trainer, and Reiki practitioner - interweaves real stories with ancient wisdom. The ideas presented in I Choose Love: A Journey from Fear to Love are the result of her encounters with spiritual teachers and healers such as Neale Donald Walsch and John of God, the study of ancient wisdom, and seven years of spiritual practice.